The Legend of Korra Art of the Animated Series Hardcover Book! 184 pages of beautiful art from The Legend of Korra TV show on Nickelodeon. Includes captions by creators Michael Dante DiMartino and Bryan Konietzko. The Legend of Korra Art of the Animated Series Hardcover Book is an intimate look inside the creative process of the Nickelodeon TV show The Legend of Korra. With captions by creators Michael Dante DiMartino and Bryan Konietzko, this amazing book not only features great art pulled from your favorite TV show and follow-up to Avatar: The Last Airbender, but it also includes never-before-seen art, too! 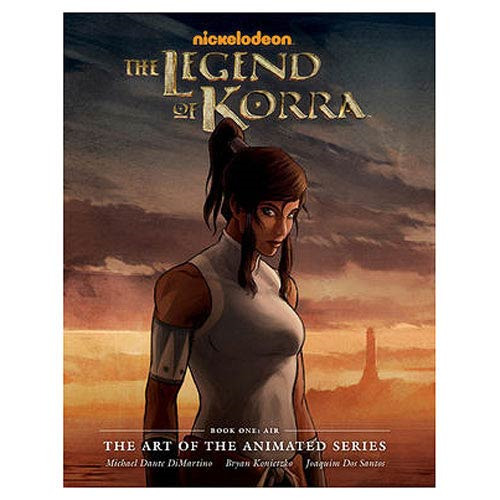 At over 180 pages of beautiful art, The Legend of Korra Art of the Animated Series Hardcover Book makes a great gift for fans of The Legend of Korra TV series.